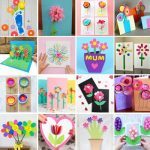 You will usually see handprint flower bouquet ideas popping up when looking for Mother’s Day gifts made by kids. 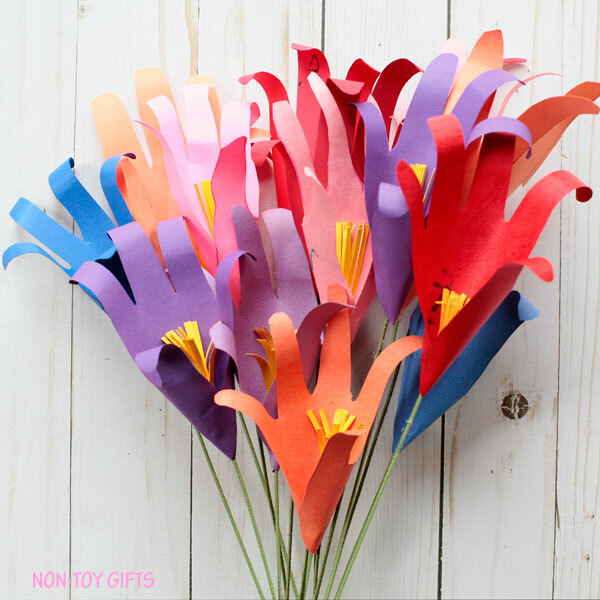 But our bouquet is a classroom craft, even if technically it wasn’t done at school. 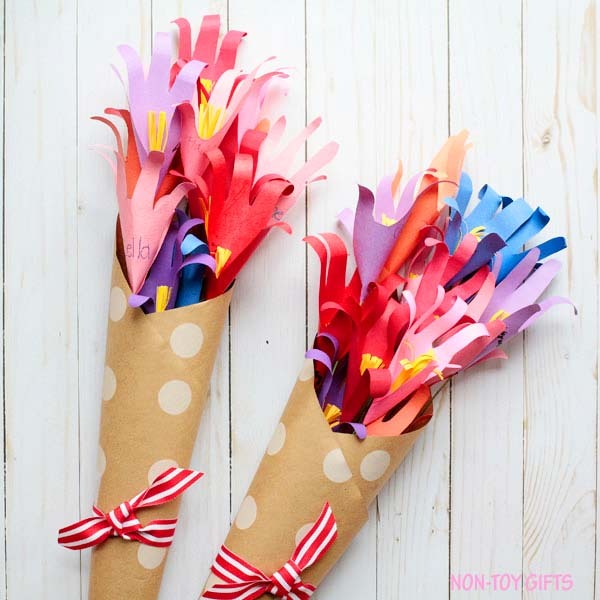 We created our flower bouquet as an end of the school year gift for our kindergarten teacher. We have actually made two flower bouquets: one for the kindergarten teacher and one for the teacher aide . 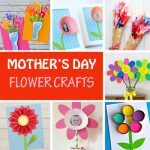 They have been making so many wonderful crafts with our kids throughout the school year and I thought this may be a good time for all of us to make something for them. Something to show them how much we appreciate their work and results. But most importantly something created by their students especially for them. 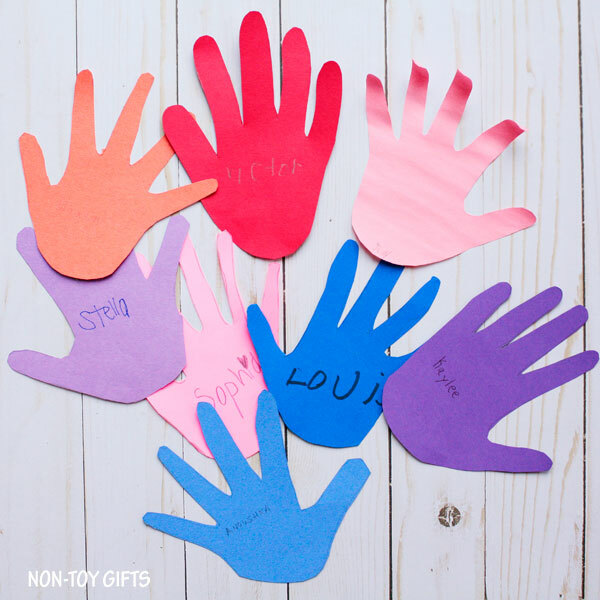 Ask the parents of your kid’s classmates to make a handprint of their children and either mail it to you or ask their little one to pass it on to your kiddo. 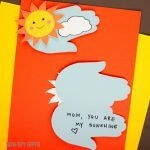 Either way, ask them to include a piece of cardstock in the envelope together with the handprint so it doesn’t bend. Plan ahead. Everybody is busy and you will need to send a few reminders . 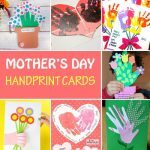 Make a handprint with your child and take a picture to send as an example so the other parents know exactly what they are suppose to do. Have the kids write their name on the handprint to make it more personal. 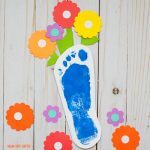 Step 1: Gather all the handprints from your kid’s classmates traced on colored construction or card stock paper. 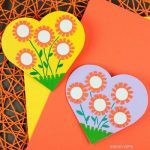 Step 2: Cut several strips of yellow construction paper that will be used as the flower stems. 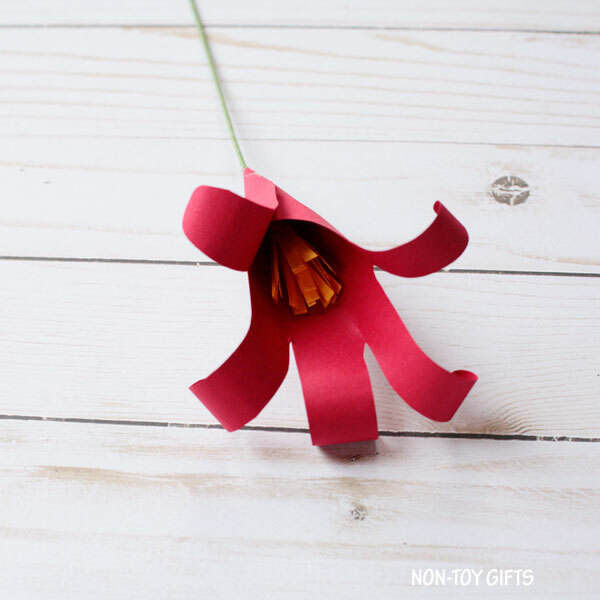 A 2″ strip will be used for each flower. 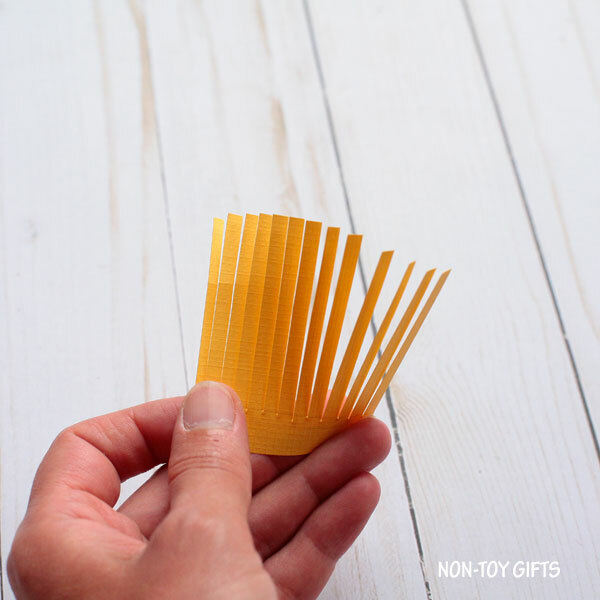 Cut slices into the yellow paper strips starting from one edge and leaving about half an inch of space on the other end. Try to cut the slices as thin as possible. 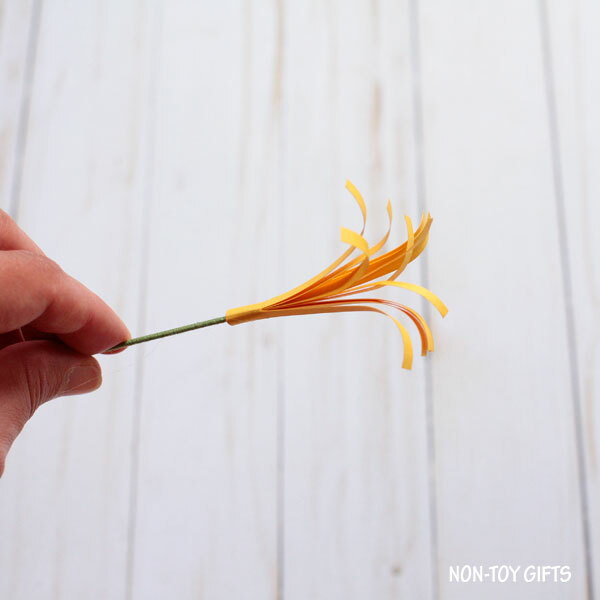 Step 3: Apply glue to one end of the yellow strip and stick it to the top of the flower wire. 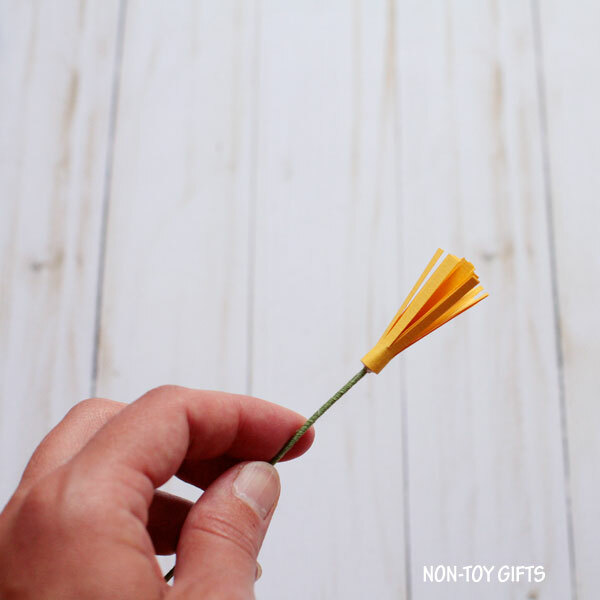 Roll the paper around the flower wire and glue the other end, too. 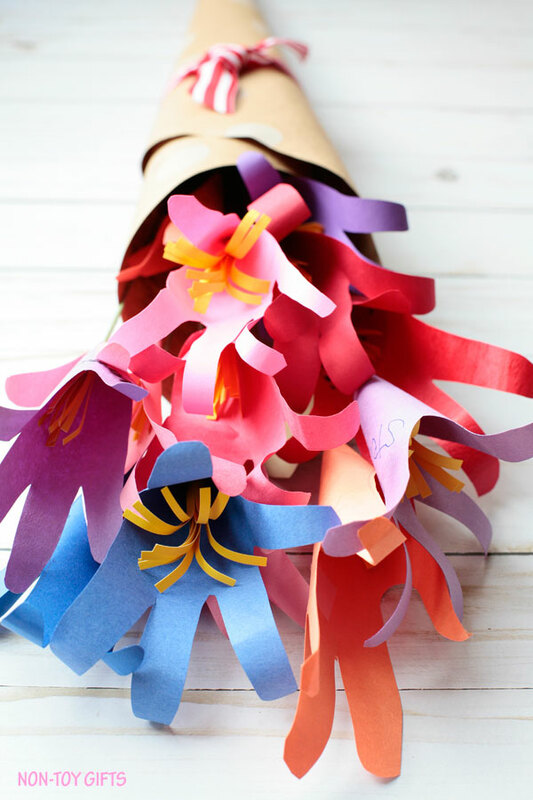 Curl the paper to the outside using your fingers. 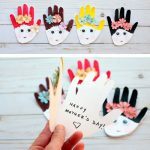 Step 4: Wrap each handprint around a stem, connect the basis of the hands and glue them in place. 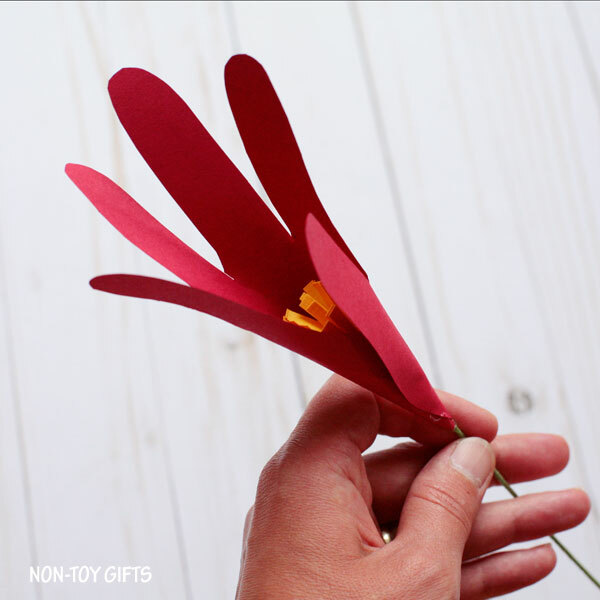 Step 5: Wrap each flower petal on a pencil to give it a curly look. 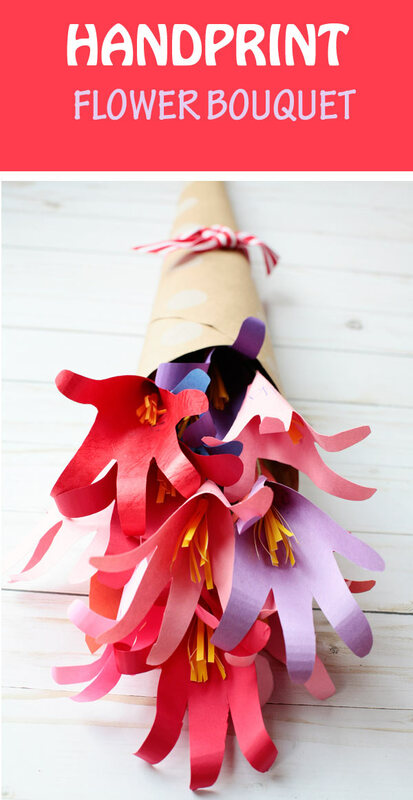 I gathered all the flowers for each bouquet, wrapped them in brown paper and cinched it with a colorful ribbon.